“Ghost Girl”, directed by Jennifer Tang, tells the story of Kim (Siu-See Hung), a Chinese girl brought up by an English family in the 1980s. She grows up in Kent, where she struggles between two identities a world apart, that of her acting parents Phil, Janice (Bea Holland) and her step-sister (Danielle Phillips), to whom she feels very close, and the world of her Hong Kong Chinese birth mother May (Paula So Man Siu), who she see once a week out of obligation. The mise en scène is stark, with a hanging white cloth design in front of the projector screen as the only backdrop, a minimalist stage design (Hannah Sibai) that befits the dramatic style of this piece. It can take a while to settle into the play, but once that happens, one feels embroiled. With almost no props, no costume changes and actors in simple outfits, the play demands heavy active involvement from the audience, to fill in décor of the take-away, the school, the homes and later the Far East, and to switch between the different roles the actors play, with their imagination. There is no easy immersion in this play, the characters address the audience directly. Excellent use is made of this compact theatre space, the differentiation between natural sound dialogue, and other voices or inner thoughts spoken through the microphone, adds a layered complexity to this theatrical experience. Depending on the context, the microphone voice can feel officious, intimate, even lonely. Not only our sight and hearing are engaged with, but also our sense of smell. The use of incense helped to convey a sense of a very different, faraway land. 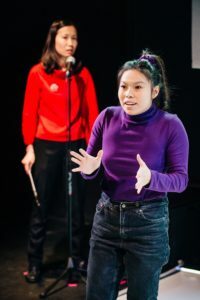 A considerable part of the script is spoken by May in Cantonese, a literal barrier representing the inaccessibility of Chinese culture to the English-speaking audience. The figure of May is almost always present on stage, but often as the bystander, observer, a ghost unable to speak or integrate. This play not only explores what it means to be Chinese, but what it means to be British. The mirroring sequence of two different voices against a backdrop of media images, to the tune of nationalistic music (sound design by Keir Vine), explores the conflict between how Britain presents itself and the bulldog attitude in reality of a certain section of society; between the genteel voice of traditional Chinese culture, smothered by loud rants of sinophobia and inherent racism. 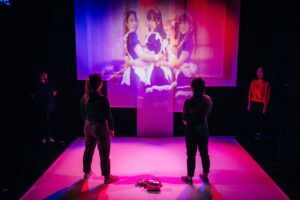 Although we are presented with voices of astonishing racial and gender stereotyping from modern Britain, the cause of the bullying experienced by Kim as a teenager trying to fit in, the play also shows an awareness that prejudice often isn’t one-sided. What I like most about this play is its exploration of consciousness and identity. For much of the duration, there are at least two voices speaking at the same time, whether they are conveying the thoughts of characters during the police visit, or the constant buzzing in Kim’s head. At one point, we see her paralised at the centre of the stage, torn between two voices that represent her different identities. All of a sudden, rice falls out of her sleeves as if from a puppet. Is she feeling uncomfortable with her Chineseness, or feeling that she cannot retain it? The scene provokes thought. 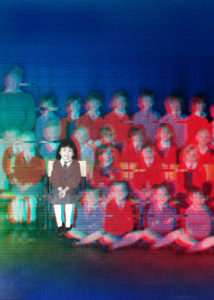 Identity and consciousness are complex, even with the most straight-forward of life experiences. The dramatic device of having two actresses, one Caucasian, one East-Asian, play the emotionally fragmented heroine, is a highly effective one. However, the play ends on an ambiguous note, suggesting that cultural affiliations in those who struggle with different identities are much less clear-cut than commonly perceived. With an all female cast, femininity and motherhood and the contrasting views thereof between the two cultures, are clearly also the focus. There are many different facets of the minority experience yet to be told, for examples, those who straddle both worlds, the Chinese bourgeois in Britain, and fresh-off-the-plane immigrants of the new century. But perhaps it is the conflict and hardship experienced by these early immigrants that make some of the best stories. And there are many of these still to be told, as Tang has discovered, starting off her project as a verbatim story and ending up with a narrative based on the experiences of many. 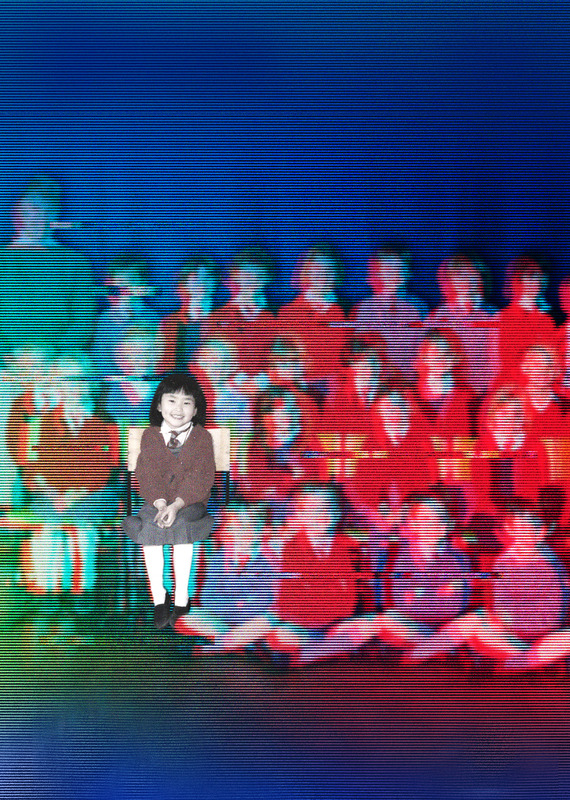 “Ghost Girl, Gwei Mui”, has managed not only a refreshing take on the subject of being British Chinese, but brought more attention to the problems of transnational adopting. I am looking forward to seeing where Tang’s next project takes her.